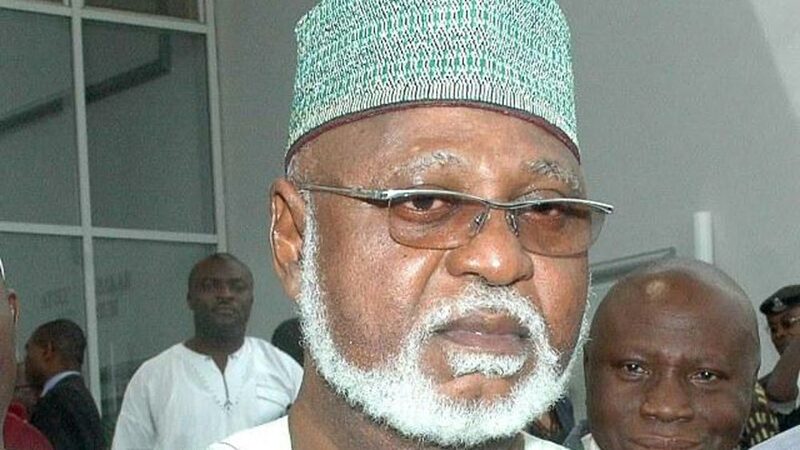 Abubakar made the disclosure at a forum organised by Search for Common Ground, Nigeria, in collaboration with Abdulsalami Abubakar Institute for Peace and Sustainable Development. The forum, with the theme, Amplifying the Expertise of African Peace-building Practitioners and Scholars, was organised for farmers and herdsmen at Maizube Farm in Bosso Local Government Area of Niger on Monday. It aims to increase knowledge sharing on farmers-herdsmen conflicts by peace-building scholars and practitioners and policy makers in Nigeria and globally. The organiser is an international non-profit organisation that promotes peaceful resolution of conflicts with offices in Washington and Brussels. Abubakar said 62,000 people were displaced in Kaduna, Benue and Plateau states between January, 2015, and February, 201, in farmers-herdsmen conflicts. He said 2,500 people died nationwide in farmers and herdsmen conflicts. He commended the organisation for initiating the forum with a view to building synergy between the academia and practitioners as well as to generate evidence for policy-making on farmers and herdsmen conflicts in Nigeria. Abubakar said the initiative would further reduce farmers and herdsmen conflicts in Nigeria through a holistic interrogation of issues critical to resolving the conflicts in Nigeria and Africa. He added that the initiative would enhance and boost relationships that had existed between the two interdependent groups and reduce the impacts of the conflicts on the affected communities. “Farmers and herdsmen conflicts have become a threat to peace, security and development of our nation. Abubakar said the worry had heightened ‘’with the recent crisis in Plateau, Benue and other states that have led to loss of lives, properties, displacement of persons and families, untold hardships to communities and individuals affected. Abubakar called on the forum and other relevant stakeholders to come up with suggestions, including the roles of government, civil society, the media, traditional rulers, community and professional, in addressing the conflicts. He advised stakeholders to strengthen the capacities of organisations working with farmers and herdsmen, women, communities and youths in addressing their needs. Mrs Bukola Ademola, Conflict Analyst, Search for Common Ground, Nigeria, attributed farmers and herdsmen conflicts in Nigeria to unequal access to land and resources between farmers and herdsmen. She said livelihood was a factor that directly pitted farmers and herdsmen against each other in competition for resources to sustain crops and animals. According to her, addressing this protracted and often violent conflict requires a new way of doing things and building synergy between peace-building practitioners and researchers. “There should be strengthening of the quality of the evidence collected through practice and increase the dissemination of practitioner knowledge toward policy institution,” she said.